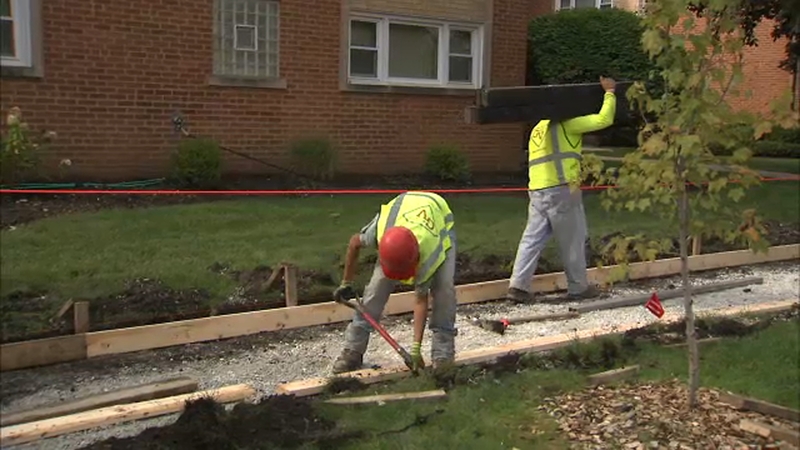 CHICAGO (WLS) -- Property owners in Chicago can start signing up to get help paying for sidewalk repairs at on Tuesday, January 8. The Shared Cost Sidewalk Program allows homeowners to split the cost of fixing their sidewalks with the city as long as those sidewalks are within the public right of way and are not vaulted or custom sidewalks. Senior citizens and persons with disabilities are also eligible for a 50 percent discount. Applications are accepted on a first-come, first-served basis and the number of participants is based on the availability of funds. Once the program is at capacity applications will no longer be accepted and property owners will have to reapply in 2020. Applications can only be submitted by owners of the property. Click here for more information and answers to frequently asked questions about the program. All submissions must be made through 311.chicago.gov. When submitting a request, applicants should make sure to specify they want to participate in the Shared Cost Sidewalk Program, specify if the applicant is a senior or has a disability, and provide the property owner's complete name, contact phone number, email and the property's complete address. Applicants should also mention if they would like a courtesy walk or landing step installed, and if they are interested in removal and replacement of the driveway apron.